RVHS senior Rachel Horner (5) attempts a dig during the Lady Raiders setback to Vinton County on Tuesday in a Tri Valley Conference Ohio Division contest in Bidwell, Ohio. BIDWELL, Ohio — A rough night for the Lady Raiders. 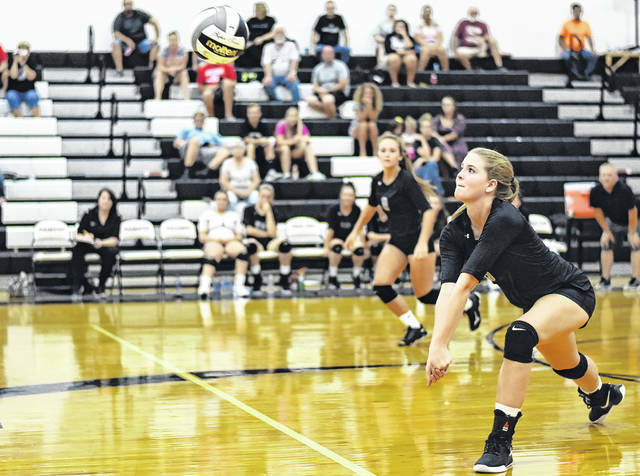 The River Valley volleyball team suffered a three games to one setback to visiting Vinton County in Tuesday night’s Tri Valley Conference Ohio Division match in Gallia County. Following a 3-all tie in the opening contest, Vinton County charged to a 10-5 advantage, but RVHS (7-6, 2-4 TVC Ohio) rallied to knot the game at 16. The Lady Vikings, however, utilized a 9-6 scoring run en route to a 25-22 victory. The second game heavily favored VCHS as it opened with a 4-1 lead, before outscoring the hosts 21-15 the remainder of the game to earn a 25-16 win. River Valley opened the third game with an 6-3 lead, but the Lady Vikings rallied with a 5-2 scoring run to knot the score at eight apiece. The two squads would remain in a see-saw battle playing to a total of three ties before RVHS locked the contest at 23 each. The Silver and Black never trailed again in the game, scoring the final two points, to take a 25-23 win and force a fourth set. 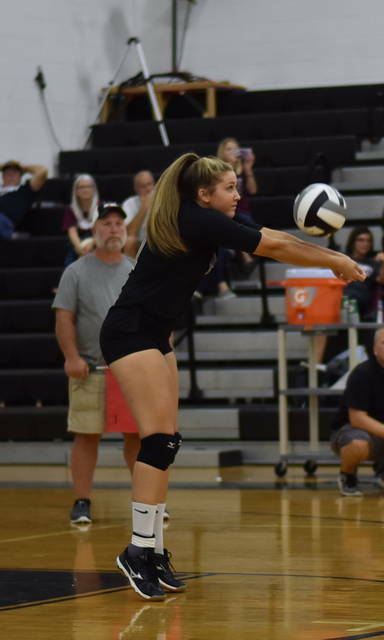 After a 1-all tie in the fourth game, Vinton County never trailed again after outscoring River Valley by nine points the rest of the contest en route to a 25-16 win and 3-1 match victory. Following the setback, RVHS second-year head coach Brent Smith reflected on his team’s performance. The Lady Raiders service attack was led by Rachel Horner with 13, while Kelsey Brown and Mikenzi Pope followed with six service points. Alex Woods posted three points, while Kasey Birchfield was next with two service points. Taylor Huck rounded out the RVHS service attack with one point. The Silver and Black finished with 34 digs, 20 kills and six blocks overall in the contest. Maylea Huff paced the Lady Vikings service attack with 17, while Kerrigan Ward followed with 10 points. Lacy Stapleton posted eight, while Lacy Ward and Sydnee Knox were next with six and four points apiece, respectively. 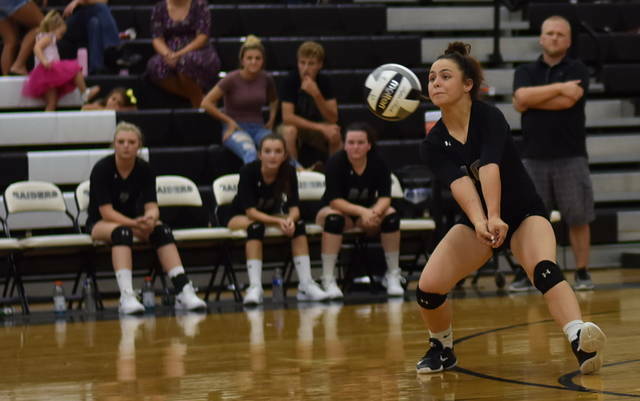 Josie Hembree added two service points, as Cameron Zinn closed out the VCHS service attack with one point. River Valley will attempt to avenge the setback on Oct. 4 at McArthur. The Lady Raiders return to action on Thursday to host TVC Ohio Division foe Meigs.